I was recently contacted by Caronia's Marketing Team and they included me in their roster of bloggers. This only mean that they will update me about Caronia's new collections and innovations. I'm happy and blessed that they happen to checked my blog and was pleased with what I'm doing. Oh thank you dear God. Obviously, you're seeing the shades which I put in a color wheel instead on my fingers. I currently have a nail polish on so I didn't used it on my nails. I will post it every Monday for Manicure Monday segments so you'll see all shades of the entire collection. Here's a peek on what it looks like with single coat, double and triple coat. Also I noticed that their regular polishes are Toulene-free, Formadehyde-free and DBP-free formulation. I think this is the reason why with only one coat the nails are covered pretty well and the formula inside has a high viscosity. As compared before, I like their formula now and the consistency is not goopy. Sweet Surprise (Yellow) and Rainbow Tan (Brown) were both frosted and the rest are regulars. Not a fan of frosted polishes but I like their type of frosted shade. Especially the yellow and orange which is really good this summer. I'll opt for On The Go (Shade of Teal) and First Crush (Pastel Lavender) for my meetings, seminars and trainings next time. Overall, I love the entire collection. I like First Crush the most and Sweet Surprise. I actually let my nails to rest now so I can use the yellow one. It's summertime so let's spread love and warm hugs. 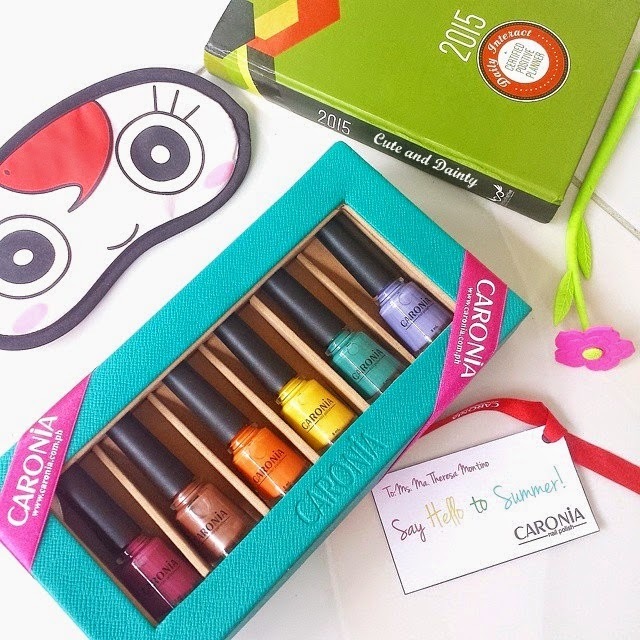 I LOVE your Caronia's shade collection- I think that the yellow and green is so fun to mix and match. I'm going to grab some nail polish soon. Thanks for the inspiration. Yep! Love the yellow too! Perfect for summer! So mas expensive sya nun sis if it's sold separately? I'm also into nails lately since I have my vacation. Once I'm busy, it would be hard for me to polish my nails. Yep! I was blessed to be part of their team. Love Sun kissed and Sweet Surprise here.. I heard that Caronia is a great brand. I'm not so much into nail polish. hehe. Yep. They have affordable polishes in different shades. I wonder if that yellow will suit me. I haven't found the perfect yellow for my nails. Yellow is my favorite color but not on the nails because I think hindi bagay sa akin. I really want to check if the yellow on their summer collections will work for me. Thanks for sharing. You're welcome sis. 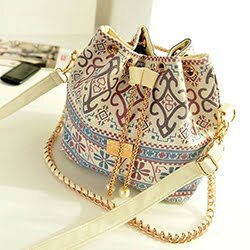 This collection is already available on the market so you can check it na. Their yellow is nice. Though it's too loud, this is the perfect time to use it because it's SUMMER! You have every reason now to try it! my eyes are still stuck on the 2nd pic with the purple nails, the nails look so beautiful yet i've never been a fun of purple. I guess i'll give it a shot for the next 3 days n see how my pple react. Thank you soooo much Theresa for posting this! It's pastel and it's so nice. I'm actually looking forward in using that shade for a nail art soon! I'm not into nail polish but I like the yellow color, lakas makasummer! True! Summer feels talaga tong color na to. Wow, you're very lucky to be contacted most of the time. It looks already amazing even in one coat. Among the collection, I like Summer Fling, On the Go, and First Crush. I'm more on neutral colors. I also think On The Go and First Crush are easy to use for nail arts. I'm not a nail polish girl. I can't make 'em last for more than half an hour, lol. But I must say that Caronia's Shades of Summer Collection has a nice set of colors. They all give a happy, summer vibe most especially the yellow polish. And the orange as well. All for summer! These are really unique and lively colors that would really stand out on the nails. I also think so. Especially those bright ones. my favorite color is "on the go", perfect for summer! Yep. Will be using that for nail art soon. nice colors!!! it's young, fun and funky!!! I can hear Uptown Funk in my ears. Haha. Thanks for the compliment! Yep! I'll be blogging about the orange for today's Manicure Monday and I did some twist. Watch out for that post! This reminds me of my highschool days. I have collected Caronia nail polish because. I saved my baon just to buy a bottle. If I remember right I have like 30 bottles of different colors mostly pastel colors pa nga. Sayang wala pa FB and IG before. I'm also loving pastels lately! I like the On The Go and the Rainbow Tan colors! I also like 'On The Go' too. Guess it would be great for nail arts! Yeah but I don't usually put nail polish on my finger nails. sa toe nails lang. It really gives the fresh summer vibe right? Caronia is a long time known brand. Bata pa lang ako, may Caronia na. That shows that it offers a great product line. Yun lang di ako mahilig mag-nail polish. Agree! Heard of the brand when I didn't even know how to apply nail polish. Lovely shades! I can remember Caronia is my Mom's nail polish and I would play with it! My mom's, grandma's and even neighbors has it. Haha. Brand's too popular to forget. I love all those colors! Well, all except the orange? Not sure if i'd be brave enough to wear that. hehe. I really need a foot spa-mani-pedi, stat! nice color. :-) Though I can't really relate.lol! The colors are very pretty and I saw a few that remind me of some of my favorite nail colors. I look forward to your posts on each shade. Nice shades for summer! love that collection of colors. I agree. It definitely is for summer! Loving all the new summer collection of caronia.. Very youthful! Nice colors. Speaking of Caronia, the commercial in the 80s of this product was featured in Jessica's show earlier because of it theme song. I wasn't able to watch that though. I'm actually not watching TV lately. Guess it feels nostalgic hearing that. I was never a fan of bright colors but I do love that green nail polish. On the contrary, I love bright colors and actually all colors available. Hihi.. They specially have wonderful colors in their collection now.